The Rheinblick Golf Course offers free golf for U.S. ID cardholders during their March Membership Drive. 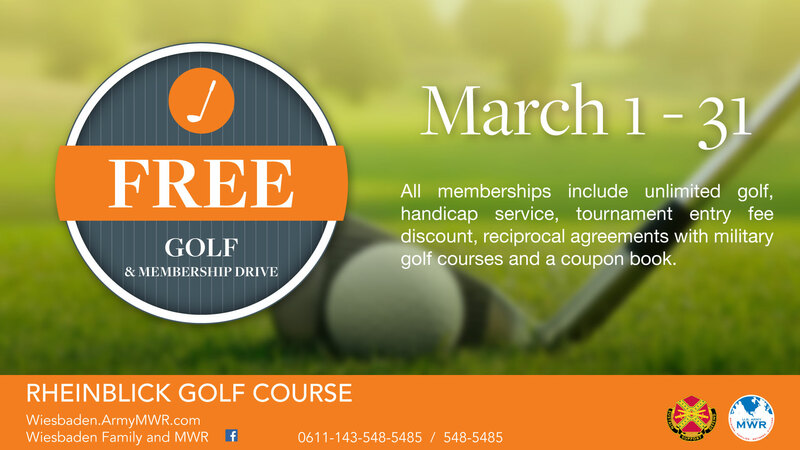 Rheinblick also offers free golf club rental for service members E5 and below during the March special. Throughout the month of March, new memberships purchased include a driving range key valued at $30. All memberships include unlimited golf, USGA handicap service, tournament entry fee discount, coupon book and reciprocal agreements with other military golf courses. Inquire at the Rheinblick Pro Shop.